Our good friend has been a book called Warman’s Coca-Cola Collectibles by Allan Petretti. Petretti has been collecting Coca-Cola and other soda pop collectibles for the past 35+ years. If anyone can tell you about prices for your items, is this guy. The book has items ranging from calendars, toys, signs, trays, bottles, etc. Although, it doesn’t have everything it is a pretty nice guide that can give you some sense of direction if you want to buy or sell Coca-Cola items. 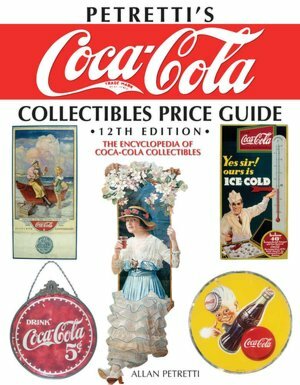 The book is currently in its 12th edition and you can buy Petretti’s Coca-Cola Collectibles Price Guide: The Encyclopedia of Coca-Cola Collectibles here. It’s available in hardcover and Kindle edition. Believe me, it will be money well worth spent in the long run. Anybody know when Petretti’s 13th edition will be coming out?